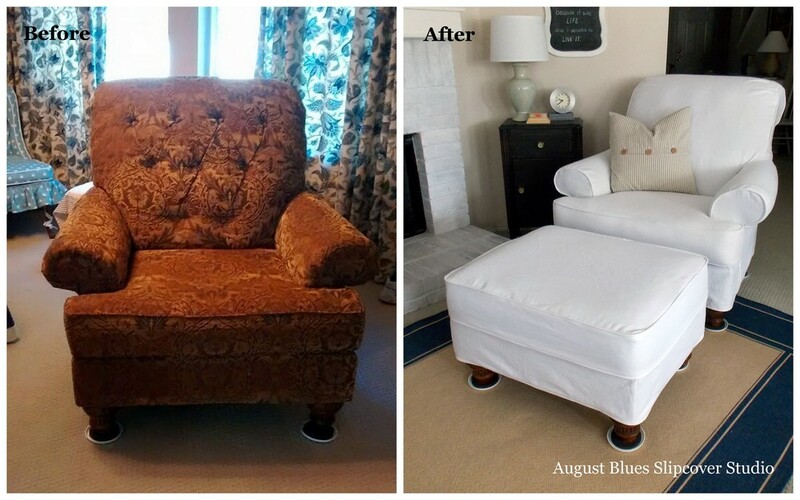 My client had purchased a little extra fabric, so we did two more pieces - a large ottoman and an antique rocking chair. Now it will blend perfectly with the other pieces in the room! Sometimes our beloved animals are hard on furniture - can anyone relate? 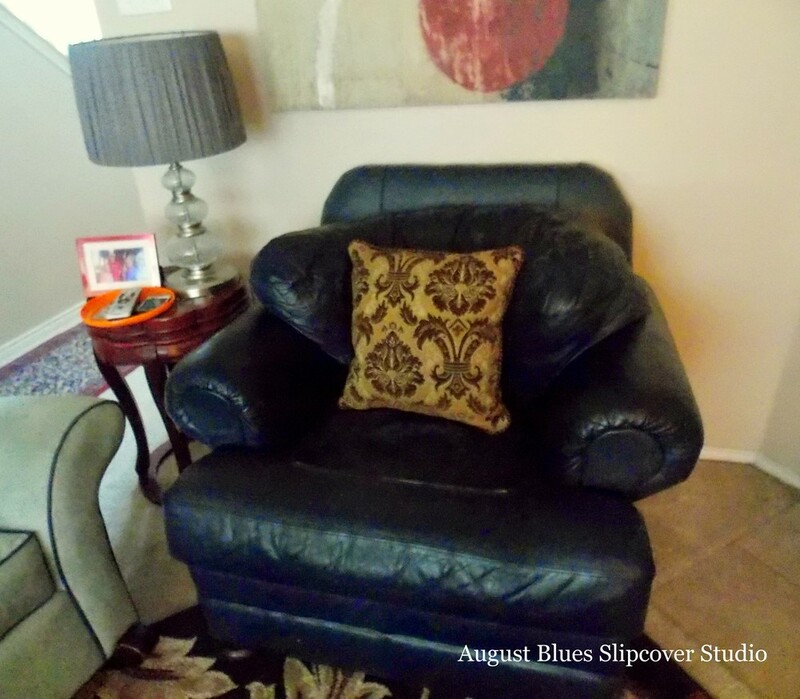 My client brought this chair and ottoman that had had some unwanted attention from a cat. And, somehow the tapestry fabric did not handle the attention very well. 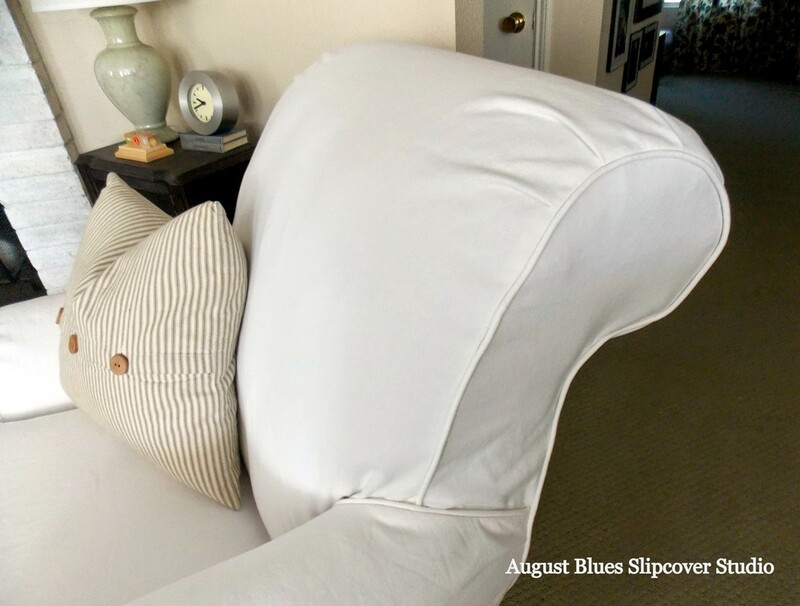 But, the chair was still very comfortable and had great lines, so slipcovers came to the rescue. English roll arms and a rolled back? Yes, please! A simple design, with piping and knife pleats around the bottom. 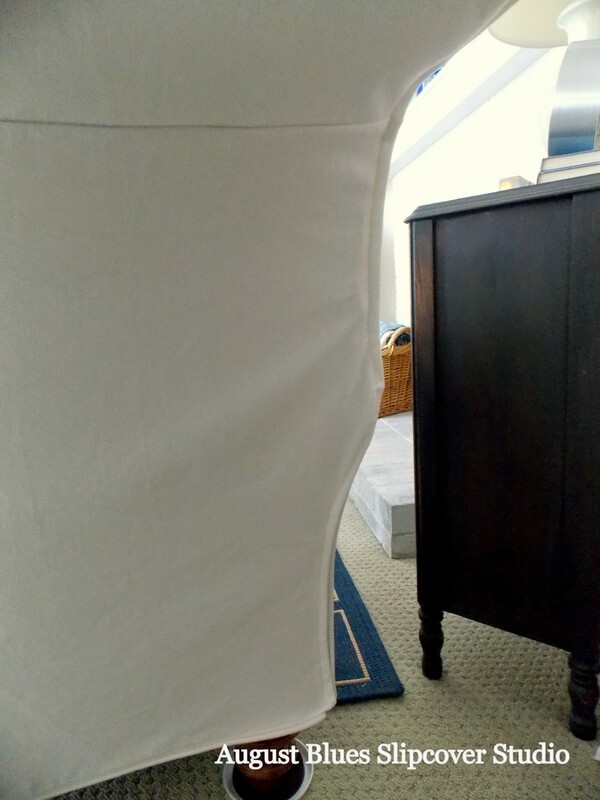 I really like this fabric - it is sturdy, but soft enough to be able to work it around curves and fashion details like the pleats (and the price is very reasonable). I would definitely consider it for our home, if I thought I could get away with such a light color ;) Note: the shrinkage is about 6"/yd. so make sure you allow enough fabric for pre-washing! 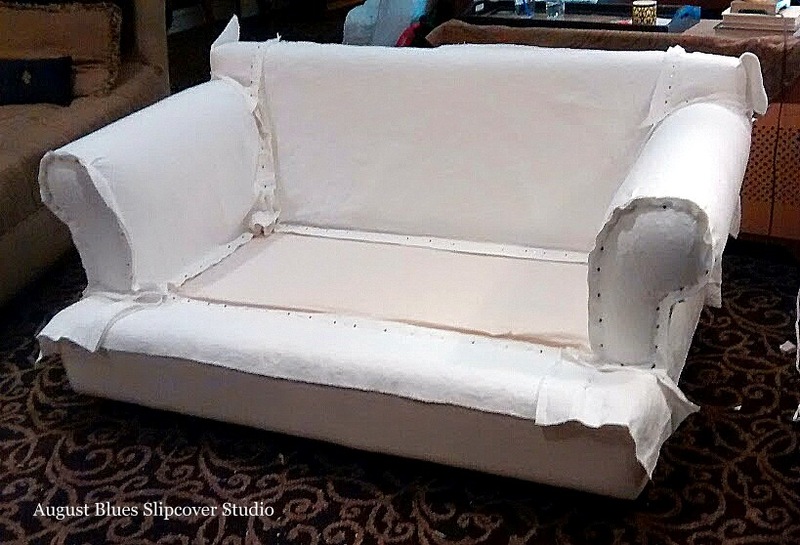 Do you have a favorite slipcover fabric? She requested piping only around the skirt, so the rest of the seams were left clean and simple. I know I said in an earlier post something about buttons needing to be functional, well, I'm eating my words now ;) My client wanted the button look, but wanted the security and streamlined look of a zipper. So, did both - underneath the button placket is a functioning zipper. 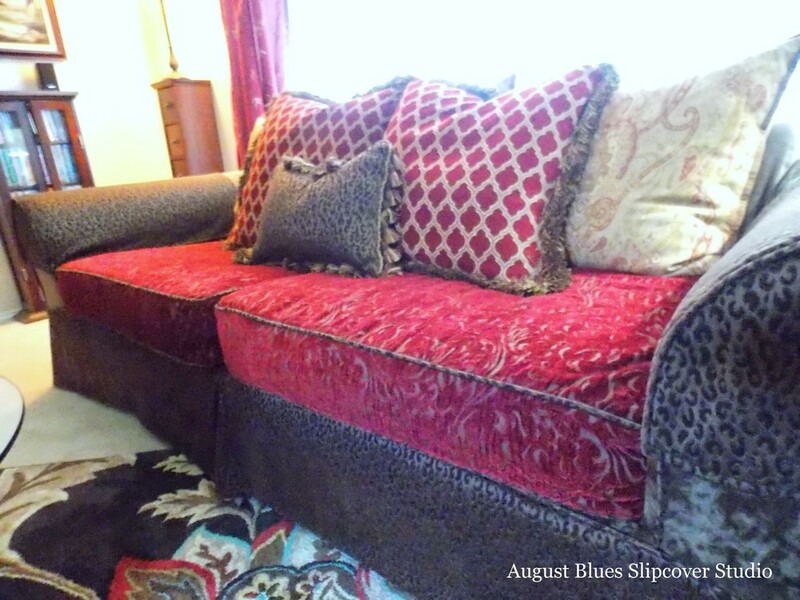 And now the slipcovers go on and off with ease! And aren't her pillows gorgeous? 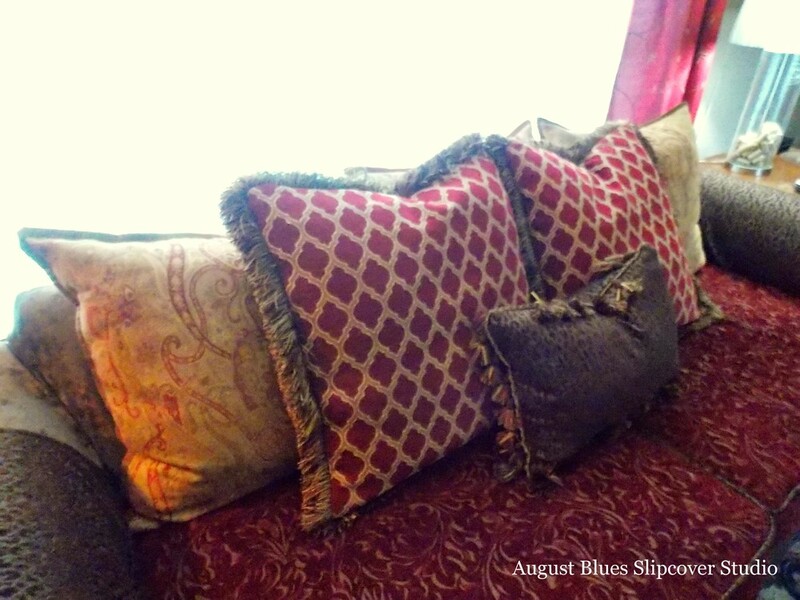 These pieces are destined for a keeping room in Tennessee (I so love the idea of a keeping room! 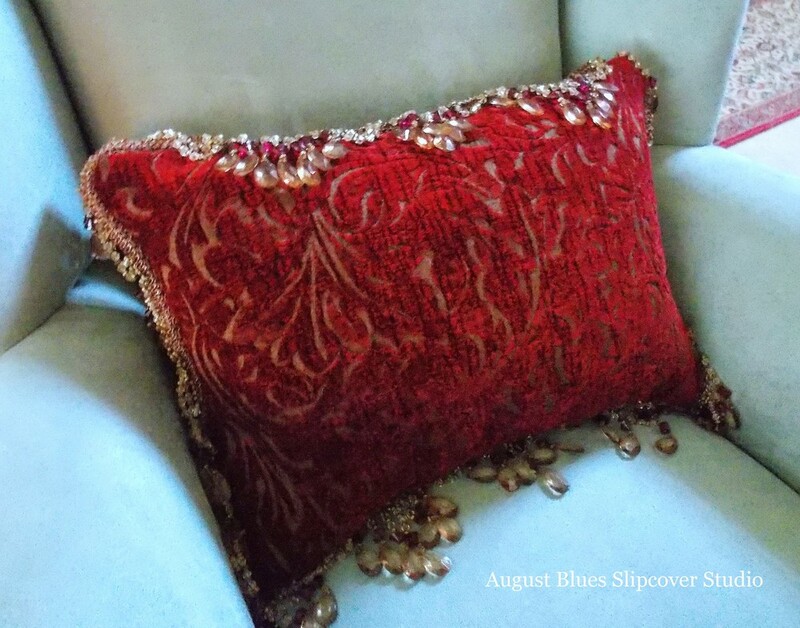 ), so my client is playing with different ideas for accessories - I can't wait to see them in their new home! 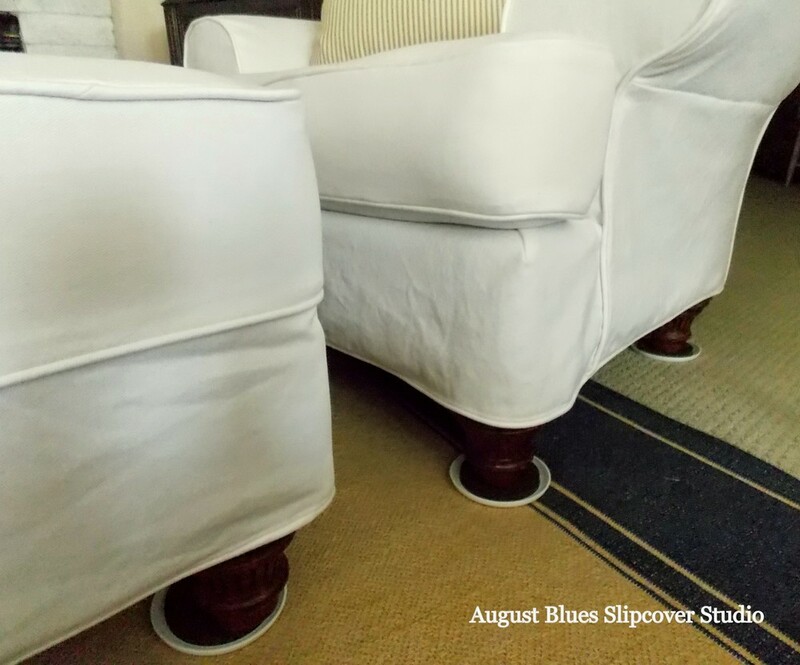 Do you have IKEA slipcovered pieces? What do you think of how they work for you? The lighting was a little challenging, so you can't really see the matching here. 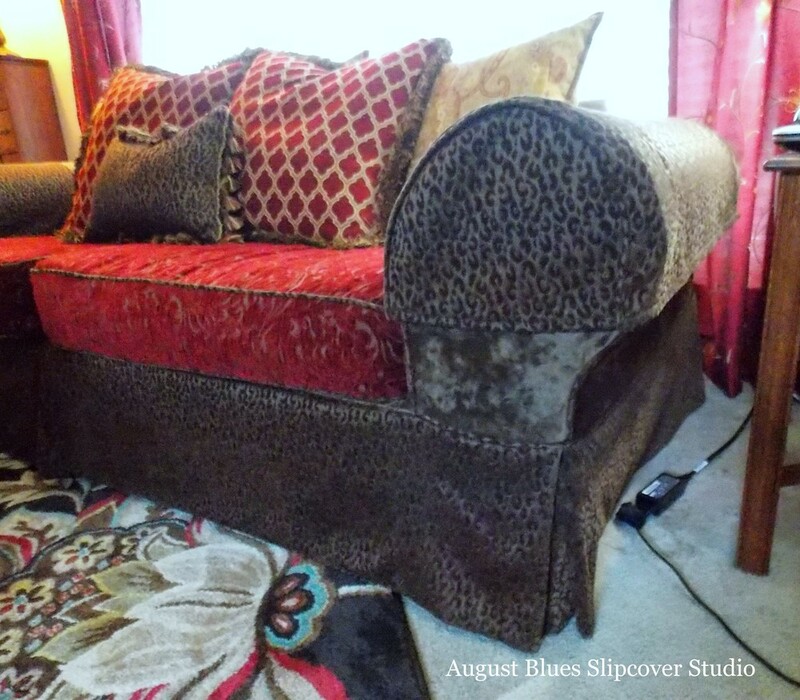 The fabric was just a bit narrower than the width of the loveseat, so I added pieces to the ends of the largest pieces to get the width needed. The zipper is hidden along the corner seam on the left side. 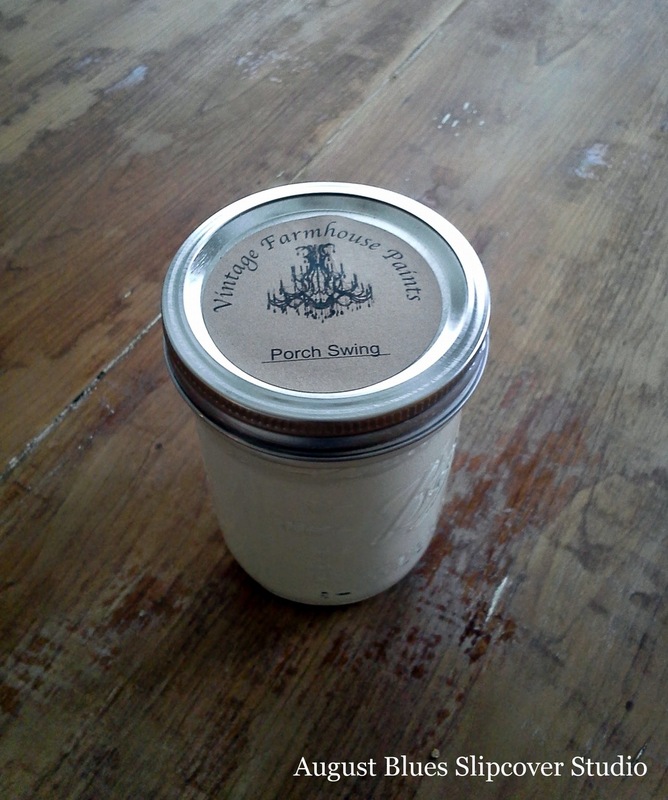 We also decided to use a plain white twill for the piping trim and covered buttons. 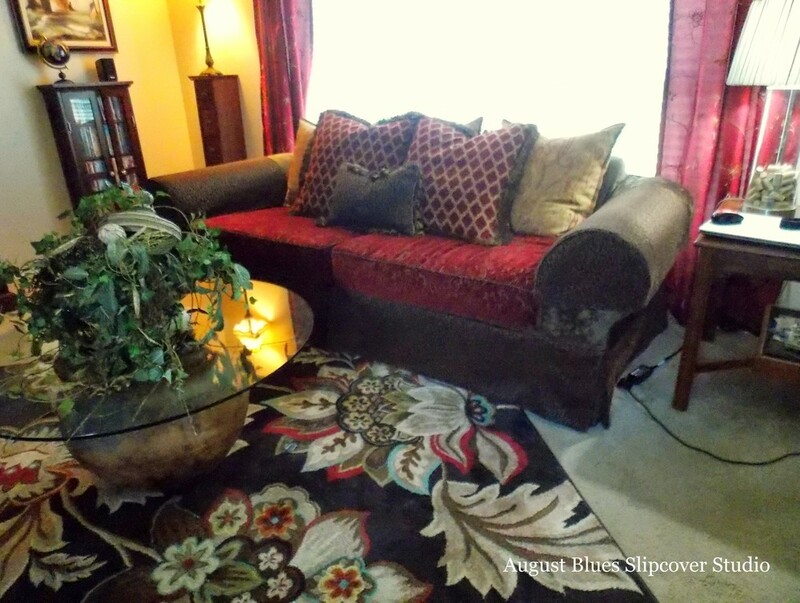 Here is another matelasse project I did awhile ago - have you used matelasse in your house? We kept it snug and clean-lined, and let the pretty legs show. The bottom edge was finished with piping and top-stitching to keep everything in place. 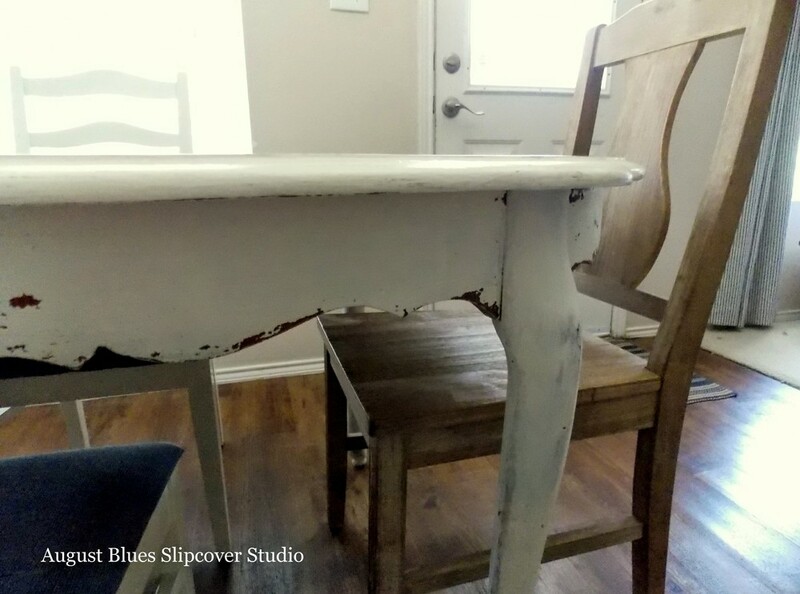 Just underneath the edges of the pieces , the bottom edges are attached to the chair with hook-and-loop so that they stay in place. 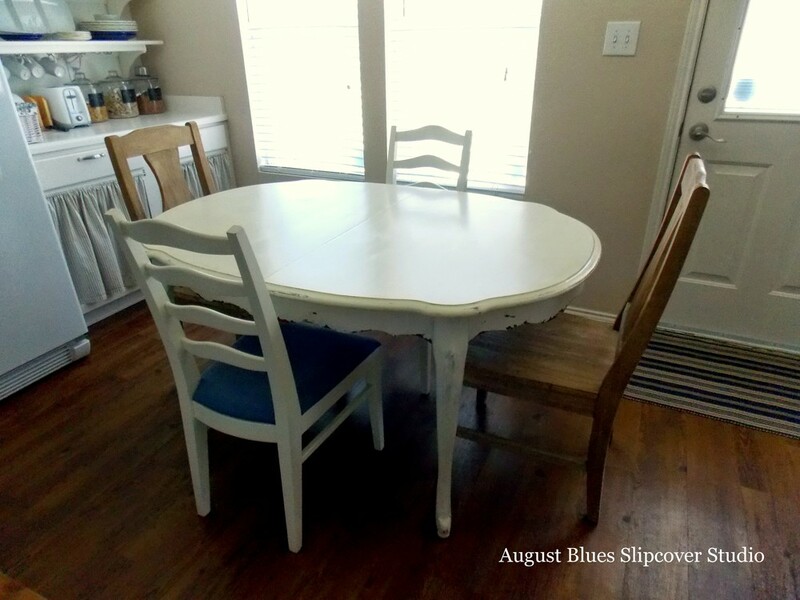 How do you feel about white slipcovers?